If you know me well, you would know that I can get a tad obsessive. I will become transfixed on a topic and research it until I have absorbed every little detail I can, found every interview, book, article, movie and then I will move on and forget all about the spell I was under. A few of my “phases” included Queen Elizabeth (A fascinating woman) which led to my fascination with her father, Henry VIII (who was suspected to carry the Kell Antigen which resulted in 13 known pregnancies and only 4 living children-yet he blamed his 6 wives (2 of which he beheaded) for the lack of an heir *typical*), Honey Bees (they are seriously insane), and I may have had an unhealthy infatuation with Led Zeppelin during my college years. This character trait has followed me into motherhood. Except now the topics are much more relevant to my life and the significance unsurmounted. It is no secret that I have become increasingly irritated in the authority we have given the medical field when it comes to our pregnancies, our births, and then our babies and our parenting. With the rising cesarean rate (which has passed the threshold of doing more harm than good) brought on probably by the increasing number of premature inductions, it has brought more awareness to maternal care in America. Midwives, birth centers and doulas are starting to shed the stigma of birth options only reserved for “hippy alternative women” and are becoming much more mainstream. A few things kick started this fascination including writing Doula What? A Birth Story, researching for my sister in law during her effort to achieve a vaginal delivery following a cesarean, as well as hearing numerous hospital birth stories from friends who have recently had a baby (Almost ALL were induced early). I have spent the last month reading articles on birth and overall maternal care in America, watching documentaries like The Business of Being Born, and listening to every Ina May Gaskin (The “Mother” of the Natural Birth Movement and renowned midwife/birth advocate) interview I can find on podcast. I’m hooked! I am completely captivated by the subject. 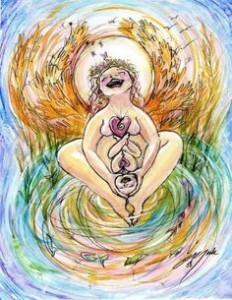 Which got me thinking about my own birth experience, and what I want for my future pregnancies. During my pregnancy, like many American mainstream women, I knew that when labor started my husband and I would go to the hospital, where the doctors knew what to do and that would be that. The birth just wasn’t something I thought about a lot, which now seems so ridiculous- wasn’t that the entire point of pregnancy… wasn’t that what the whole experience was leading up to: the birth and then the baby. I was naïve, I didn’t feel the birth was something that was in my control and if I’m being honest, at the time, I was happy it wasn’t- I was terrified of it! And I guess I felt it held little importance, as long as the baby gets here… right? Terms like Doula, Midwife, and Birth center were terms I either never heard of before or thought only occurred on hippy communes or in third world countries. So, when contractions started- my husband drove us to the hospital and My Grand Entrance Into Motherhood unfolded. I always knew there were things about my daughter’s hospital birth that I did not like, and that I have thought about over and over since the day she was born. The experience will always hold magic and beauty to me but I can’t help but think about the things I wish I would have done differently if only I would have had the knowledge. During our childbirth classes, they showed me and my husband a series of images including epidural, C-section, Pitocin, drugs, and then a baby, we were asked to pick out from of all of them what we wanted to take out of the experience. Of course, we chose the baby. This was to show us that no matter the birth experience- the goal is a healthy baby at the end. Of course, I still believe this idea as a whole, but I do not think every birth is a medical emergency in a race to save the baby’s life (I mean how did we get here then?!) and looking back I feel this was a slight form of manipulation. I am a woman in my twenties (I can only say this for six more months so I’m going to say it again), I am a woman in my TWENTIES (God, that felt good), a woman who had a tumultuous journey to having a successful pregnancy, and a woman who has never given birth before- I didn’t feel I had the power to question anything. And when I did question, no one listened to me anyway. Many cultures believe the “twilight hour” following birth has a significant impact on the relationship with your child for a lifetime. Some cultures will even go as far to say there is an authentic “imprinting” that happens between mother and child that must not be missed. I personally believe we are much more nuanced and complex than to think one event will dictate our future with our children forever. However, I do think the birth experience is important and know that research has shown what happens during labor and delivery and right after can have an effect on post-partum recovery, the success rate of breastfeeding, the mother’s milk production, the overall health of the infant, infant mother bonding, and post-partum mental well-being. In fact, in the animal world, if a mother has a traumatic birth, the infant is sometimes abandoned. As a woman, how did I have no knowledge of this? How was I not fully aware of other options or choices other than a medically controlled routine hospital birth? Or no real knowledge on what was going to happen to her in the crucial hours and days following the birth if I gave birth in a hospital? Which leads me to the things that I often wish I could change about my daughters hospital birth and why I will not deliver in a hospital again (if I can help it). Morphine. I remember during our childbirth education class, the instructor asked if there was anything that I absolutely did not want. I said: narcotics. I explained I did not want to feel “loopy” during the birth and I wanted to be of sound mind and present. I had refused when the nurse offered it to me at 4cm dilated. Rather adamantly but after familial pressure (I think it’s tough to see a loved one in pain) and the nurse basically saying it “wasn’t a big deal, that the doctor gives it to “all” of his patients” and assured me it would not make me feel loopy- I resigned. Now, I have a hard time accepting that this was “informed” consent. When the morphine wore off: I was dilated to 6cm and the pain was traumatic. I think partly because I had no gradual transition to increasingly more painful contractions because of the drug. During intense contractions, I was alone besides my mother and husband (both not equipped to deal with a laboring woman), in a hospital bed attached to an IV bag, monitors strapped to my belly which made it impossible to get up (the worst position for childbirth by the way)- I couldn’t cope and was unprepared for the pain. This is where I started crying and yelling for the epidural. Epidural. It’s hard for me to say I regret getting the epidural, because I do not honestly know if I could have handled the contractions in the setting I was in and the relief it gave me was hard to dispute. But there are some things that I did not like about it. It lengthened my labor. AS soon as I got the epidural, my contractions weakened and I started to dilate at a slower pace. I felt a little unprepared to deal with the physicality of post-partum recovery. Once they disconnected me from the epidural, the numbness went away almost immediately. I was left with the aftermath of a body that just went through something extremely physical, but my mind was not completely aware because it didn’t feel the majority of it. I couldn’t feel the urge to pee for almost two months after the birth. TWO MONTHS. This is common with heavy epidurals or spinals. It led to more interventions (A big criticism of epidurals is that it often leads to Pitocin or a Cesarean section because the mind and body become disconnected during the labor process): Enter Pitocin. Pitocin. Because of the epidural and my inability to feel the urge to push, it was “suggested” (forcefully) that they administer Pitocin to let my “body do the pushing for me” so I wouldn’t become exhausted. I had read things about Pitocin, the side effects, how some women reacted horribly to the drug, how it forces the uterus to contract in a way that it otherwise wouldn’t do naturally (with much more intensity), it also does not give the body (or the baby) a break in-between contractions which happens in nature. I absolutely DID NOT want it. In the midst of my morphine-sleep deprived-shell-shocked-haze, I said “No no no no no no- NO Pitocin”. To which the nurses and the OB laughed and said “Are you going to listen to your friends or are you going to listen to the trained medical doctors”. So for the second time, I cowardly resigned and Pitocin was administered at 10cm dilated… For two hours my body contracted forcefully while I felt nothing. Her heartbeat was steady, so I would like to think she was okay and not in any stress. But I had been dilated to 10cm for hours now, and really wonder what affect this may have had. Even with all of the interventions, I thankfully ended up delivering her vaginally. However, when my water broke, there was a slight tinge indicating she had had a bowel movement in the womb. Meconium stained amniotic fluid has historically been seen as an indicator that the baby is in distress and there also is a danger of the baby breathing in meconium which can have dangerous implications. However, it is extremely rare (around 2-5% of the 15-20% of babies with meconium stained fluid) and in the rare event that this DOES happen, there is usually another factor involved (like prematurity). Later, after doing research…I found out that since she was 41 weeks gestation, meconium stained amniotic fluid was probably just an indicator that her digestive system was mature. I also read that the suctioning techniques done routinely in hospitals could actually CAUSE the baby to breathe in the meconium not to mention leave cuts on the baby’s mouth and nose and a really jarring welcome to the world. I found a great article written by a midwife about how the body actually takes care of this for us naturally, and this intervention is really unnecessary. Immediate Cord Clamping. The World Health Organization changed its guidelines in 2012 with the new recommendation saying that “Delayed umbilical cord clamping (not earlier than 1 min after birth) is recommended for improved maternal and infant health and nutrition outcomes.” Yet, hospital practices have been slow to adopt the new procedure and of course, my hospital was one of those. The benefits of delayed cord clamping for the baby include a normal, healthy blood volume (30% more blood if clamping was delayed! ); and a full count of red blood cells, stem cells and immune cells. For the mother, delayed clamping keeps the mother-baby unit intact and can prevent complications with delivering the placenta. Skin to Skin. Because of the meconium (I’m assuming), I did not get the immediate skin to skin contact you hear of. Actually, I didn’t even know what skin to skin was, no one had ever mentioned it during my pregnancy or during labor. When she was born, they whisked her away and aspirated her mouth ferociously. I wasn’t handed her for a good 30 minutes after the birth. She was screaming as they poked and prodded and weighed her as I watched helplessly from the bed, asking for her. In my opinion, skin to skin is an intrinsic act that holds importance, to read about all of the benefits of skin to skin, read a good article here. I’m not so much bummed that I missed out on all of the good health benefits of skin to skin, because despite it all… she was born healthy. But I do think the documented health benefits just validate that nature has a purpose and we should listen. Overall, I think what bothers me the most is that I needed that experience. It is how we as women have welcomed our children into the world since the beginning of time (minus the time spent in industrialized society). As a woman who had just gone through something so intense and traumatic, I needed that moment, AT that moment. Not thirty minutes later, I needed it immediately. I wanted to be the first (or at least the second!) to hold her. And I am sad for her. Because her first experience following birth was a bulb shoved down her throat, bright fluorescent lights with plastic gloved hands, wriggling and crying on a scale alone. I wanted her to experience her entrance into the world the way Mother Nature intended- for her first moments to be that of her mother’s warm embrace. Placental Retrieval. There were many baby’s being born that day and my OB was “busy”, so she did not have the time to wait for my body to deliver the placenta on its own. So she retrived it with her hands herself *shudder* . Which meant I had to have an entire IV bag of antibiotics. The only part that bothers me about this was it was completely unnecessary- if I were accompanied by a midwife or a doula or at a birth center I would have had at least one person (or more) solely tending to me and not 5 other women also in the critical process of labor and birth. Baby Blues. When I got home, I was anxious, scared, sleep deprived, and shell shocked. I had a bout of the baby blues and guess what they were about? Because I didn’t feel an instant bond. I was convinced something was wrong with me. I would have panic attacks thinking I didn’t love my baby and wondered what the hell would I do now, how would I live with this secret. It’s not that I wasn’t in awe of her when I looked at this perfect creature that was created from love and formed from the building blocks of my own body, or that I didn’t already have instincts and responded with an urgency I didn’t know possible when she cried. It was just that I had all of these expectations of an instant all-consuming love of unprecedented intensity and when I didn’t feel it, I panicked. I have read many accounts of women feeling this lack of bond post-partum but none from women who had physiological (unmedicated/low intervention) births. Maybe it was the morphine leftover in my system, maybe it was the thirty minutes after her birth that I didn’t see her, or the next two days of minimal interaction where she was mostly wheeled off for routine tests and kept in a nursery, or maybe it was all of the interventions during labor that interfered with the natural hormones at play. Or maybe it was none of that at all, I will never know. Most importantly, my daughter arrived safely. I think it’s important to say the majority of the nurses were very nice to me and God, do they work hard. And I don’t blame them or even my OB, they only know what they are taught and they are bound by hospital policy which can get muddy when you add legal and financial responsibility into the mix. Overall, my experience was probably considered a good one on the scale of hospital births but I do feel that my post-partum period would have been unequivocally much smoother if my birth was different. I feel my body and mind were “knocked out”, and forced to do things it wasn’t equipped or designed for and I was left with the physical and emotional aftermath. We as humans have only tapped into what the hormones released during labor and birth are responsible for and capable of, and I don’t think it’s something I should have intervened with. Personally, I feel it is meaningful to experience and not be numb to the intensity of labor and birth, I feel it offers a different perspective and appreciation for the miraculous gift we receive at the end.Although I feel that nothing could have gotten in the way of my love for my child, I sometimes wonder what IFour bond would have been stronger if her birth was different? I will continue to think that our relationship was unaffected because the alternative is something I do not want to entertain, because I can never go back. I will never be able to re-do her birth. Thank god our bond grew as the early weeks passed and I gained more confidence, but I think I will always mourn the “Could have been”, if even subconsciously- forever. This was only my experience, and I’ve talked to just as many women who have had great hospital births. However, I know I’m not alone in feeling this way. I’ve read plenty of articles and blog posts by women wishing they could re-write their birth story. I’ve spoken with friends who have felt shame that they “failed” at childbirth, when they ultimately had to have a cesarean (which very well may have been unnecessary). No woman should have to feel this way. I think it is a topic that needs to be talked about so we as women know that we have power and are entitled to a birth that we feel nothing but empowerment, pride, and confidence from- even if that is a C-section; to have smoother post-partum recoveries and most importantly: to TRUST our bodies again. I realized if I am blessed with any more children, I only have one chance to bring them into this world the way I feel they and I deserve. I cannot be upset at myself or blame myself for not having the knowledge I do now in my daughter’s birth but I can learn and grow from my experiences and hopefully enlighten others on my path. This entry was posted in Birth, Birth, controversy, instinctual parenting, Labor, natural birth, Pregnancy, Pregnancy & Birth, women's rights. I learned so much from this post! Thanks for sharing. Definitely has me thinking what I want to do differently next time around. I know you can do the all natural birth! Eveyone I know was induced early as well. Overall great post however I would like to offer some additional insight into hospital births. While I agree you're experience was far from ideal, I have had 2 hospital births and had very positive experiences one both occasions. I did have epidurals with both of my births and labored without an epidural for most of the time with both out of the pure fact I had very quick labors (8 hours and 5 hours) and the time it takes to get an epidural. I had a light epidural on both occasions and was able to feel while not being in pain. I had skin to skin contact, delayed cord clamping and most procedures done in my room bedside. I did not have to fight for these things they were the accepted standard, not pacifiers were offered to my children by anyone but me and I was actually discouraged from using a pacifier for anything but the hearing test. I would urge women that as you explore you're options explore multiple hospitals for your child's birth as well as birth centers, home births ect.